I love chocolate, but it has to be ‘happy’ chocolate. That sums it up really, I could leave it there but I won’t because ‘I love Chocolate’ comes with a few problems. In one week we will be exchanging chocolate in all its glorious forms: eggs, bunnies, shells (my favourite), Bilbies, Wombats (its true) and of course my childhood favourite Humpty Dumpty. I used to love the sound Humpty Dumpty made when I shook it, the crick, crack of the goodies inside the cardboard wall holding the egg was a whole lot of ‘I love chocolate’! Anyway the list goes on and on and on. But when you are choosing your chocolates which ever shape or size you choose do you ever consider where the chocolate comes from? Although Fairtrade and a few other certifying bodies are working on delivering a better deal for farmers, there are still far too many areas in the world where children are being forced to work long hours in appalling conditions for little money. Think about it, if a child is working long hours chances are they won’t have the energy to do school work or they won’t be attending school at all. If you think this is Ok, you need to think again. ‘Happy’ chocolate, as I like to call it, is certified ‘Fairtrade’ or ‘UTZ Certified’ or ‘Rainforest Alliance’. This means that the company (whomever they are), large or small, has decided that the chain of production for their product or products will not involve child labour. Product or products you ask… well, one company can provide just one product in their endless range that is certified child-labour free. So, just because a company produces one certified product, this does not mean that all of their products are certified child-labour free – you have to check that the product is marked with a certifier’s logo on the packaging. Wow, this says it loud and clear. Makes you think doesn’t it? For the last few years I have been making a delicious rocky road for Easter and while I always made sure I was purchasing Fairtrade eggs and other goodies, the chocolate I purchased to make the rockyroad was not certified child-labour free. This year however is different, it will be certified child-labour free all the way. During my research to find ethically sourced cooking chocolate (which is proving to be quite difficult) I discovered that since February 19th 2013 all Nestle chocolate confectionary products available for purchase in Australia will be UTZ certified*. Congratulations to Nestle for making that important and ethical decision to support third word development and food production. However… (Oh dear!) I find the term ‘confectionary products’ a little ambiguous. I want to know whether this includes their range of cooking chocolate and drinking chocolate? I am awaiting Nestle’s response to this query, which I hope to receive in the next few days so that ‘Serendipty’s’ rocky road production can begin. ‘Happy’ cooking chocolate might cost more but it will be worth it. 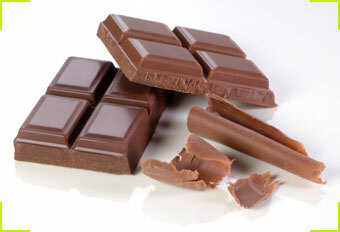 Here are a few interesting links to help inform and guide you in your chocolate purchasing. But remember, don’t just choose ethically sourced chocolate at Easter, choose it whenever you are purchasing chocolate products. What is the cost of real chocolate? p.s. The good news is that I did receive a response from Nestle. Unfortunately is was via a voice message so I don’t have a written response. However, it is as I expected, their cooking chocolate is not ethically produced nor will it be in the near future. Apparently there isn’t a demand for it! So there you go!! On a positive note I did make my rocky road. I used blocks of Fairtrade eating chocolate, bought vegan marshmallows and other bits and pieces and put it all together. Because of the chocolate I used it was super sweet and with the added cost of the marshmellow, expensive. Oh well! Carmel, interesting reading. However just to complicate things, it’s also important to ask if the product contains palm oil as these plantations are devastating to rainforests in Asia and depleting the habitat of wildlife. When you look into it there’s scarcely a food product around that doesn’t contain palm oil. I have a feeling though that Nestle is one of the companies that is moving towards using ethically sourced palm oil at some point in the future. Not fast enough though! That’s a great addition to ethical chocolate Julie and definitely worth considering, thanks for your comment.